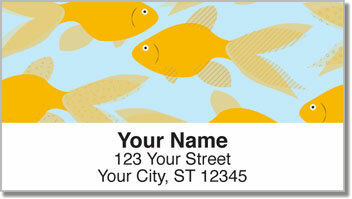 As a goldfish lover, you've probably had to flush your share of the little swimmers down the commode. 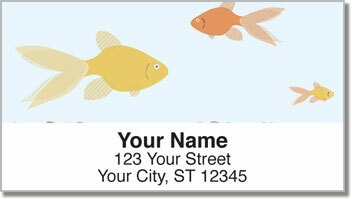 After all, they don't always do so well when you bring them home from the pet store. But that never stops you from trying again, because it's so much fun to watch those little iridescent finned friends grow and multiply! 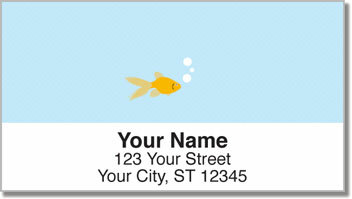 Now you can get a cute set of personalized address labels that feature delightful illustrations of everyone's favorite low-maintenance pet. 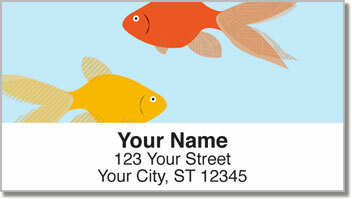 Don't delay-order your Goldfish Address Labels and matching Goldfish Personal Checks right away!